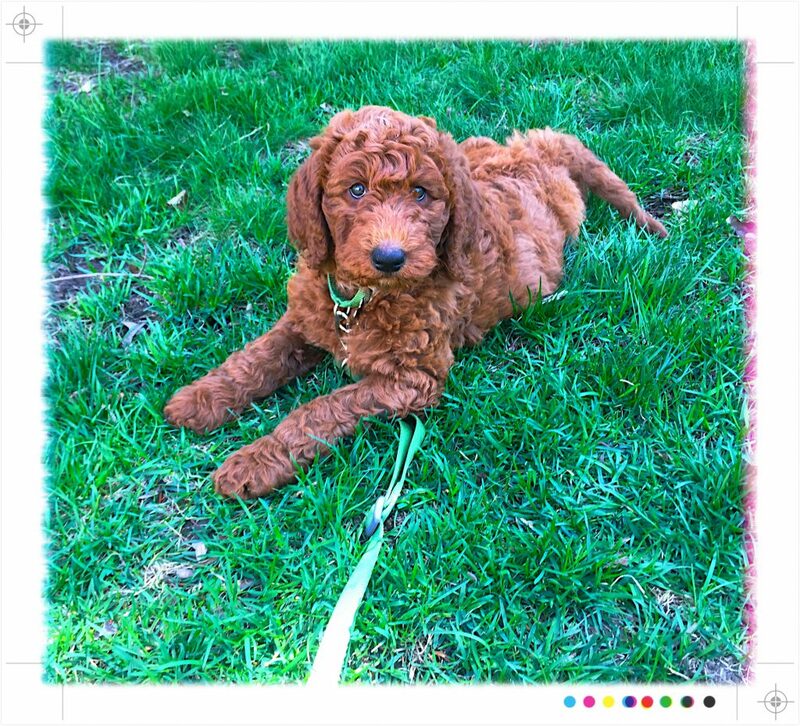 Short for Maximillian, a golden doodle puppy that Jill and her husband welcomed into their home last year. Max has everything to do with Jill taking a hiatus from her regular teaching schedule in 2019! It seems it takes many, many, many hours to raise a good canine citizen. Even so, Jill is spending some time in her studio working on new classes that she hopes to offer later in the year. Please check back for updates. And for more pictures of Max. For the past five years, Jill volunteered as a studio mentor in the Lapidary and Metals Studio at McGovern Park Senior Center in Milwaukee. She dedicated each Tuesday to instructing fellow rock hounds on the art of cutting, grinding, sanding, and polishing stone treasures. Through a collaborative venture with metal arts students from the University of Wisconsin Milwaukee, the Studio at McGovern Park is a hub for multi-generational exchanges over a shared passion for metal work and natural stones. University student learning lapidary skills. 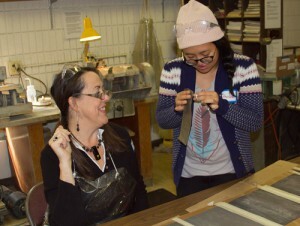 University of Milwaukee metals student, Shoua (standing) works with Margo, a studio assistant at McGovern Park Senior Center. Jill is an advocate of life-long learning. For more than 20 years, she has dedicated time to leading youth and adult art workshops for various schools and organizations in the metro Milwaukee area. A perennial student herself, Jill continues to enroll in classes to learn from master artists and instructors such as Andy Cooperman, Marlene True, Frankie Flood, and Kim Cridler. Jill appreciates that online learning is a convenient platform for many students to tackle a new technique or project. 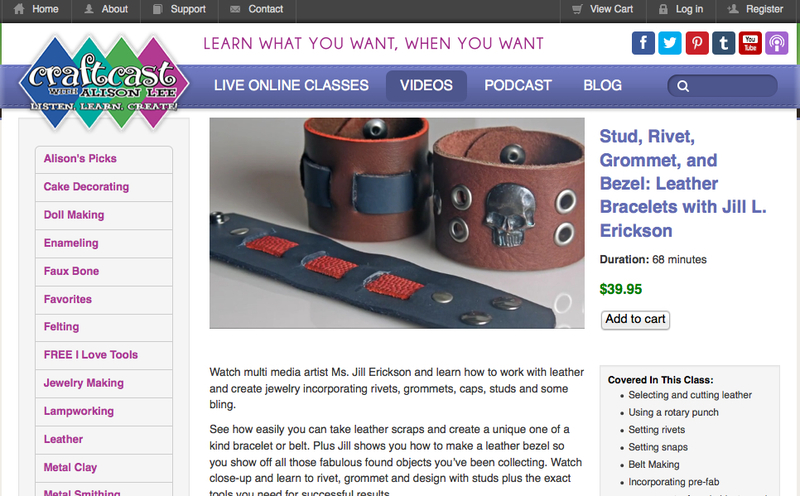 As a featured artist/instructor with Craftcast.com, Jill’s multi media projects are presented in video format and available to purchase online. Host Alison Lee facilitates the LIVE broadcasts, which are available as video recordings. Venues where Jill has taught jewelry-making techniques and projects include the Racine Art Museum, Shake Rag Alley Center for the Arts, the Bead&Button Show, the Wisconsin Designer Crafts Council, and the Loose Bead Society of Milwaukee. As an invited visiting artist, Jill taught the basics of working with polymer to students at The Prairie School in Racine.